its first stand-alone piece of domestic violence legislation. Kvinna till Kvinna’s partner, the Coalition to Stop Violence Against Women, coordinated the advocacy efforts. 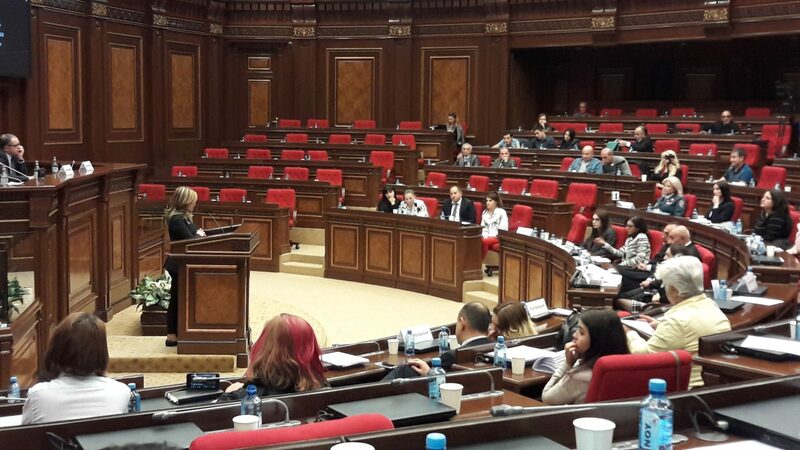 Years of struggle by the Armenian women's movement have finally resulted in a law against gender-based violence. The new law is an important step, as it means the problem of violence against women is finally recognised: until recently, gender-based violence was a disputed fact in Armenia. Still, many women’s rights organisations are critical to the new legislation’s shift of focus from protecting survivors to upholding family values. They believe this shift is the result of conservative pressure. The title of the new law, for example, ends with the words “restoring harmony in the family”. On the positive side, the new law has expanded law enforcement agencies’ mandate to include providing protection to victims of gender-based violence. Now, Kvinna till Kvinna’s partner organisations within the Coalition to Stop Violence Against Women, as well as the Coalition itself, will continue their efforts. Next on their agenda is monitoring the implementation of the law, as well as lobbying for amendments.